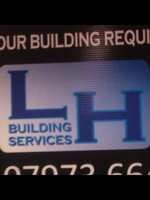 L.H BUILDING SERVICES is a Bristol based building company, we have been working in Bristol and the surrounding areas for the last 10 years, building a strong relationship with all are past and present customers which has given us the growing reputation which we have in the Bristol area. We cover all aspects of building work, with are wide range of experience we are able to help you design and build your perfect project. Please take a look at are photos to see the great standard of work we complete, you can also follow us on are Facebook page 'Lee Houghton Building Services' to keep up to date with all the great projects we are completing. please contact us for a free quotation and see how we can make your DREAMS become REALITY!!!!!! Our project, very competently managed by Lee, involved renovation of our kitchen at the back of our house. A wall was knocked through to the utility area and downstairs toilet, more than doubling the size of the kitchen area. They organised the structural work, carried out the building works, installed steel joists for structural integrity, added a partition wall, plumbed in new washroom area, dealt with all the gas and electrics including lighting. We also asked them to install our new kitchen units, fittings, cupboards and worktops. This was expertly done and the workworking including door frames and skirting was an excellent finish. The floor and wall tiling was also completed to an excellent standard. Very happy with the work and would recommend. Lee was brilliant at keeping me up to date with what was happening all the time. The quality of the work was excellent. The site was always kept tidy & secure. Really pleased. This is the second time we have used Lee. He is extremely professional in his approach. We wanted a internal wall and chimney breast removing and he explained all the procedures including regulations. His builders are tidy and punctual and work to high standards. We would always recommend him. We had Lee build a single story extension for us, knocked out internal walls so we now have a massive open plan kitchen dining area. We choose to go with Lee after we had several quotes in he had the best one and he also gave us the most confidence when he came around for assessing the work to be done. We are very happy with the end result, the Lee and his team were always on time, very friendly and easy to talk to. Lee was very receptive to any questions. Can recommend. We have had a loft adaptation done by Lee, to comply with building regulations. He also did some work on front of the house. I am very happy with the work he has done, he is first class, everything went to plan. The build ran smoothly, just perfect. Lee even gave us a call a couple of months later to see if everything was alright. We had a side and rear extension built by Lee and his team, very please with the work. The quality of the people on the team is excellent. Great workmanship, trustworthy and great communication throughout the whole job. Lee gave great advise along the way. Lee and his team build a one story rear extension, happy with the work as it was completed on time and to a good standard. Delivered on budget, what made them special is that they tidied up after themselves every day. We initially found L H building services on Facebook and were impressed with his pictures on there. He was one of several builders who came around to do a quote, but he was the only one who could ease our minds and answered any questions that we had. He was very accommodating to our needs as we didn't want to be without a kitchen he just planned around it and during the whole build of a 2 story extension we were never without a kitchen. Never had any snagging or issued afterwards, all finished on time as well. Would recommend.